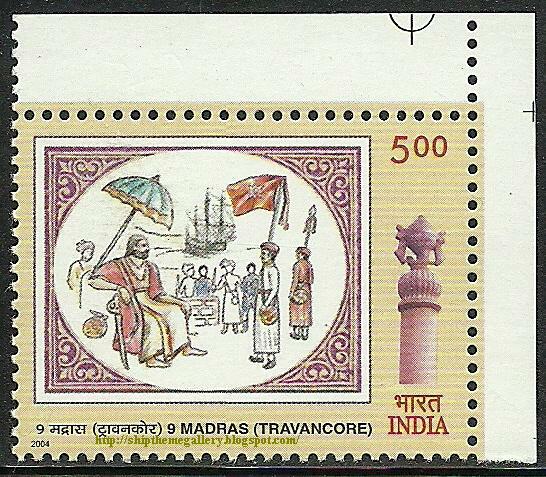 குளச்சல் டைம்ஸ்: Battle of Colachel, 1741 A.D.
Battle of Colachel, 1741 A.D.
India Post issued this stamp to commemorate the tercentenary (300th anniversary) of the raising of the 9th Battalion of Madras Regiment. A dramatic and virtually unknown past, in an area of bucolic calm surrounded by spectacular hills: that is Colachel, a name that should be better known to us. For this is where, in 1741, an extraordinary event took place the Battle of Colachel. For the first, and perhaps the only time in Indian history, an Indian kingdom defeated a European naval force. The Battle of Colachel (or Battle of Kulachal) was fought on July 1741 between forces of the Indian kingdom of Travancore and the Dutch East India Company, during the Travancore-Dutch War. It was the first major defeat of a European military force by one from South Asia. The Dutch never recovered from the defeat and no longer posed a large colonial threat to India, assisting the British East India Company's eventual rise to dominance on the subcontinent. The battle began when a force of Dutch marines under the leadership of a Flemish commander, Captain Eustachius De Lannoy (also spelt D'lennoy) were sent to Travancore to secure a trading post from the Raja. They landed with artillery in Kulachal, then a small but important coastal town, and captured the territory up to Padmanabhapuram, then the capital of Travancore. The arrival of the Raja's army from the north forced the Dutch to take up defensive positions in Kulachal, where they were attacked and defeated by the Travancore Nair Army. The key element of the Raja's army was his personal army, known as the Travancore Nair Brigade or locally known as the Nair Pattalam. This unit was later integrated into the Indian Army as the 9th Battalion Madras Regiment and the 16th Battalion Madras Regiment in 1954. 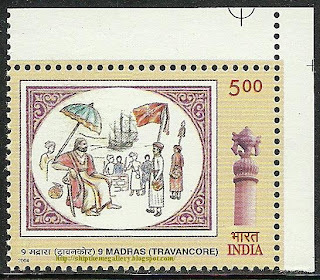 In order to commemorate this great victory of the Travancore Army over the Dutch at Colachel, the Travancore Government installed the Colachel Pillar (can also be seen in the stamp) at the very spot where the Dutch had capitulated to the Maharaja of Travancore. 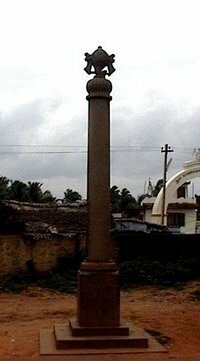 The Colachel Pillar stands 17 feet high and has a radius of four feet. It has conch at the top of the pillar and on its base the following words are inscribed in memory of the fallen brethren during the battle :- “In remembrance of all the brave men of Travancore Army who laid down their lives in defeating the superior Dutch forces during the Battle of Colachel in July 1741”. 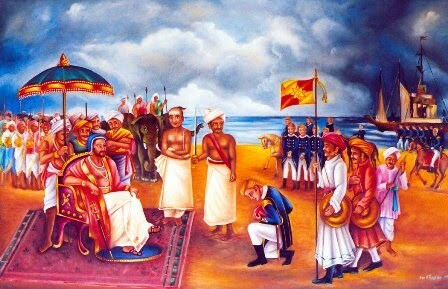 After the defeat, Commander D'lennoy went on to serve King Marthanda Varma for the next two decades and was promoted to the post of the Valiya kappithan (Senior Admiral) of the Travancore forces same status like a Nair lord.